Getting into bed with NATO? On November 20, Russia and Nato drew a line under two decades of friction since the end of the Cold War and declared a new era of “strategic partnership”. But what grounds are there to suppose that this can deliver a genuine transformation of relations? Several factors underpin this, but one word is paramount: pragmatism. Remarkably, the new-look relations were launched without grandiose joint declarations, fraught with contradictory expectations, leading to new disappointments. Instead, the Lisbon declaration is geared towards pragmatic co-operation on issues of common concern. These areas have been identified not as a matter of “political expedience”, but are the result of the jointly carried-out threat assessment. Then there is the context. Nato and Russia share more security concerns today than at any point since the Cold War, including instability in Afghanistan and the surrounding region; escalation of regional conflicts; proliferation of WMD and missile technology; and threats posed by terrorist networks and organised crime. In the aftermath of the global financial crisis, both Nato and Russia have fewer resources to spend on defence and security policy, and would significantly benefit from a more cost-effective co-operative approach to common threats. 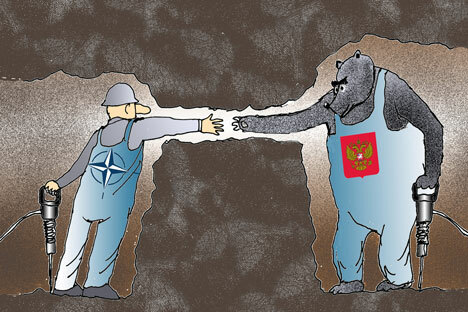 Nato countries and Russia today share a sense of vulnerability about the changing global balance of power. And the recent resets in US-Russian and Polish-Russian relations helps to develop a greater consensus within Nato in favour of more constructive and ambitious relations. The conflict in Afghanistan plays a significant role. Russia and Nato share concerns over current and future developments there, particularly in the context of efforts to achieve a political settlement among different Afghan groups, and to prepare the exit strategy for the International Security Assistance Force (Isaf). Russia already provides Isaf with land routes to the north, through which almost 50pc of all non-lethal goods are supplied. Russia has been training and equipping Afghan police and army. And in Lisbon, the sides discussed ways to promote regional strategy, including co-operation with Central Asian states on expanding existing routes. The summit also launched Russia’s co-operation with Nato over European missile defence, complementing the separate US-Russia dialogue. Russia has much to contribute as it has both technology and funds to develop its own system. If developed to be fully compatible with the US and Nato systems, this could provide an important component for defending the East European and Central Asian sectors of the global missile defence system. Such complementary systems would ensure that Russia participates as an equal partner integrated with Nato under common information-sharing and monitoring arrangements. Russia would no longer be concerned over operational control, technology sharing and possible impact of any US/Nato system on its nuclear deterrence. Moreover, such a system will increase inter-dependency to such a level as to rule out a future confrontation between Russia and Nato. The Lisbon summit fell short in some areas, however. There was no move to implement overdue reform of the Nato-Russia Council, thus transforming it into a policy-making body rather than a tool for managing relations with Russia. Nor were changes proposed to the Nato Strategic Concept to offer Russia an explicit, albeit conditional as for all members, open-door policy. Sceptics will also note that previous spells of optimism failed to deliver. In the Nineties, the partnership built around the Nato-Russia Founding Act was interrupted by war in Kosovo. After the Rome declaration and the Nato-Russia Council there was the war with Georgia. But a chief cause for optimism is the continuing change in Russia itself, which today is more ready than ever in its recent history for closer integration with Nato. Mr Medvedev has declared a comprehensive modernisation strategy, which would require a favourable external environment, as well as closer economic ties with developed Western countries. Russia has embarked on a deep reform of its armed forces which, if successful, will make them more closely resemble those of Nato. It has also signalled interest in expanding military-industrial co-operation with these states, while already up to 30pc of the components in its modern weapons systems are foreign-made. Most Russians no longer view Nato as a threat, partially due to the alliance’s difficulties in Afghanistan and its internal divisions over Iraq. In the last year, public support for “improving relations” rose by more than 10pc. And while Russia’s new military doctrine lists potential Nato enlargement as the greatest “danger” to its security, most Russians accept it will not enlarge in the foreseeable future – a perception shared within Nato. Oksana Antonenko is a senior fellow, International Institute for Strategic Studies.